Chevron Easter Egg: 1.5, 1.75 and 2.00 inches. 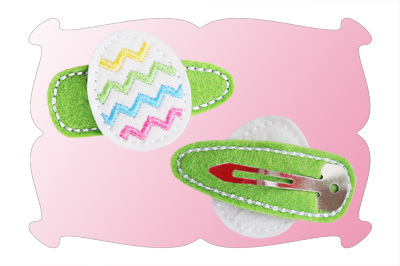 You can also glue the egg feltie onto a ribbon covered alligator clip as shown above. 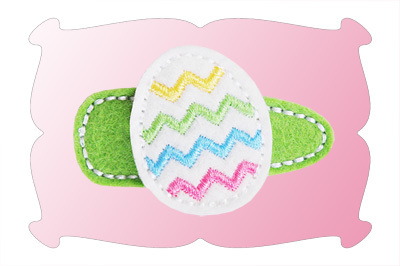 The Chevron Easter Egg comes in 3 sizes: 1.50, 1.75 and 2.00 inches. 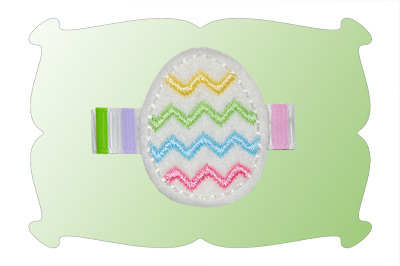 The 2.00 inch size Chevron Easter Egg can be used as a large snap clip cover.